A thermocouple has no moving parts and are extremely robust. However, thermocouples do lose accuracy over time and can become damaged by overheating during use or by human error. With a Gayesco Flex-R® thermocouple assembly, you enjoy the flexibility of thermocouple replacement or repair. Accurate temperature measurement is critical for many applications in the refining and petrochemical industries. A durable thermocouple assembly is the preferred temperature measuring instrument for most of those refining processes. But as sturdy and reliable as thermocouples are, they do not last forever. They can also become damaged by mishandling or extreme temperatures. The decision of whether to repair or replace thermocouples depends on several factors. Cost is certainly a major consideration, as it can be less expensive to repair large thermocouple assemblies than to replace them. Another consideration is downtime, a requirement when replacing old or damaged thermocouples. WIKA is an industry leader in temperature monitoring equipment and installations for the oil and gas industry. We can help you decide whether thermocouple repair or replacement is better for your particular situation. The Gayesco Flex-R® is the only process multipoint thermocouple assembly that can be repaired if damaged. One recent study shows that this innovative design has up to 200% less flow interference when used in in a fixed-bed reactor compared to single sheath multipoints. The Gayesco Flex-R® also prevents horizontal runs through the catalyst. Moreover, its independent, isolated sheaths, and low-profile routing mean minimal impact on process flow, reactor loading, and reactor unloading. With this thermocouple assembly, you get single-point calibration of individual sensors to confirm accurate measurement of every single point. Most suppliers offer only sample lot calibration, which is less reliable. In addition, WIKA is the only supplier that is capable of re-verifying sensing points after installation or repair inside the reactor. 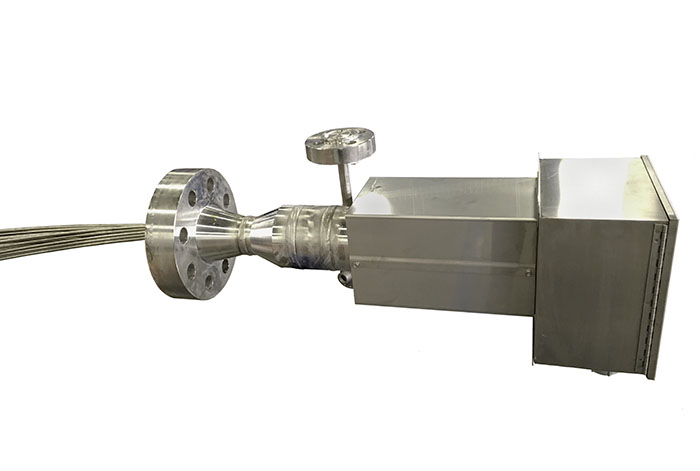 The Gayesco Flex-R® system is the culmination of almost three decades of experience with multipoint temperature measurement in the refining industry. The global pioneer in the development of multipoint temperature profiling systems, Gayesco International – now a part of the WIKA Group – has supplied more than 4,000 multipoint systems to process vessels, totaling well over 130,000 measuring points. When thermocouples need to be replaced, you want minimal process downtime. WIKA’s Quick Ship Program offers the most popular electrical temperature products, including thermocouples, RTDs, thermowells, and complete assemblies – all of which WIKA can deliver within five business days. The electrical temperature measurement products in the Quick Ship Guide were handpicked to meet the most common customer needs. Our goal is to deliver the thermocouple replacement assemblies you need on time, every time. We streamlined several key operations in order to eliminate quoting time and to immediately process a purchase order for manufacturing. The program offers standard configurations of each product and the use of EZ order numbers, which bypass the quoting and configuration steps. WIKA’s large inventory and constant restocking of a broad range of thermowells make the process even more efficient. The net result is that most orders move directly into scheduling within hours of receipt. Quick Ship orders are automatically given the highest priority. In most cases, products can be manufactured or customized within two to three business days and are delivered within five days. Products not included in the Quick Ship Guide can also be ordered on an expedited basis. Let WIKA’s knowledgeable technical support staff walk you through your options for thermocouple repair or replacement. These experts are more than happy to answer any questions you have about thermocouples, other temperature measurement devices, and how to take advantage of the Quick Ship Program. I am one of the subject matter experts for Refining and multipoint thermocouple applications around the world. I have been with Gayesco WIKA since 2004 creating innovative solutions to challenging temperature measurement solutions in difficult refining and petrochemical applications.